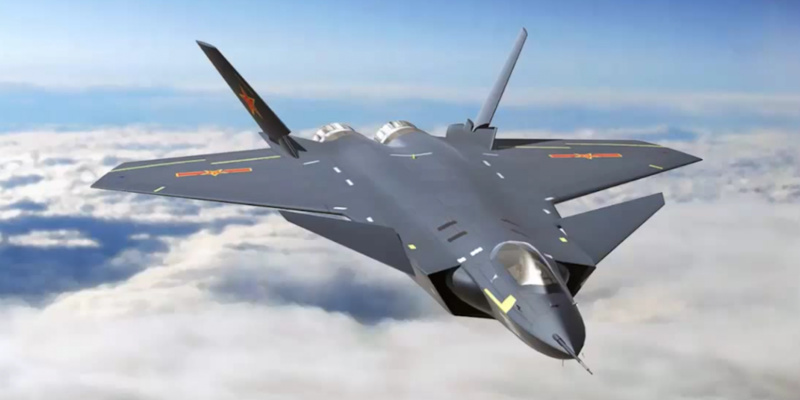 A NEW Chinese warplane has been placed into combat service as Beijing plan to use the new J-20 stealth fighter to increase their military might, it has been reported. The communist state have modernised their military forces in recent years as they aim to create an army that could rival the US in any potential future war. The futuristic Chinese aircraft have a longer range, more internal fuel capacity and a larger weapons capacity than most jets used by the UK military. The latest addition to China’s army is believed to be equipped with unique WS-15 turbo engines capable of reaching supersonic speeds. The J-20 is reported to now be “operationally ready” after use of the new aircraft was announced early last year and underwent extensive drills in September. Tensions have continued to escalate between the US and Beijing over North Korea and the South China Sea over the past 12 months. Until recently, only the US and Japan had stealth fighters in Asia, giving them a significant advantage over Premier Xi Jinping’s forces in any military confrontation. Last year the Chinese leader unveiled the country’s new artificial intelligence strategy, which outlined plans to become a military world leader by 2050. It spoke of the needs for a “modernisation of the national defence and armed forces” to compete with the US. The introduction of the new J-20 jets is the latest attempt from China to reach their aim of becoming the most powerful military force in the world. Last year Eric Schmidt, the head of Google’s parent company Alphabet, made a stark warning that Beijing would be dominating in artificial intelligence on the world stage within just over 10 years. He warned Xi Jinping was investing heavily in artificial intelligence for both commercial and military use. Mr Schmidt said: “It’s pretty simple.